Linda is seen here with the Wednesday group. 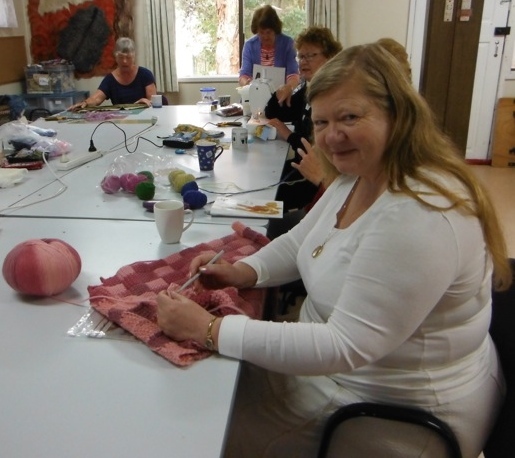 Linda is in the process of Tunisian crocheting a shawl, using entrelac squares in the entrelac style in varigated wool to create a pattern of tiles. Looks fabulous. By Lyn A.